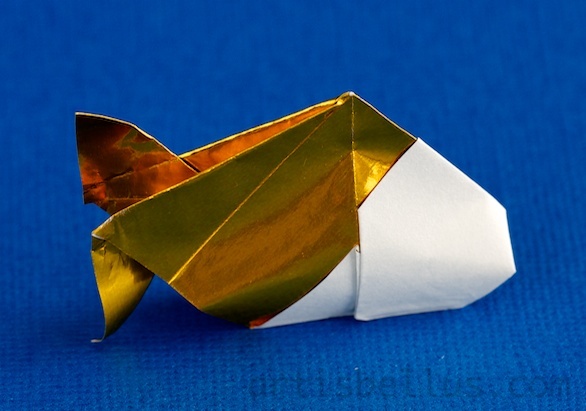 The best thing about this Goldfish is, that in order to fold it, you will have the perfect excuse to eat a chocolate, candy or cookie that is wrapped in a golden rectangular paper! 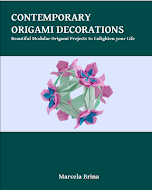 But don't worry if you are on a diet, you can also use foil origami paper. The goldfish is very easy to fold. You can find the diagram here. This model is folded from a rectangle. The diagram shows how to obtain a 4:3 (or 1.33:1) rectangle from a square paper, but it will also work with rectangles of slightly different proportions, like letter size or A4 paper proportions. I folded the big goldfish with cookie (alfajor) wrapping paper, that is approximately 5 1/2" x 7 1/2". 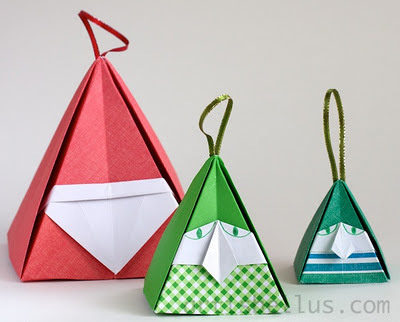 For the small ones, I used 3" squares of foil origami paper that I cut into 2 1/4" x 3"rectangles.